British and Irish Lions tour manager Andy Irvine says that he still has hope that three key injured players will be available for the deciding Test against the Wallabies. 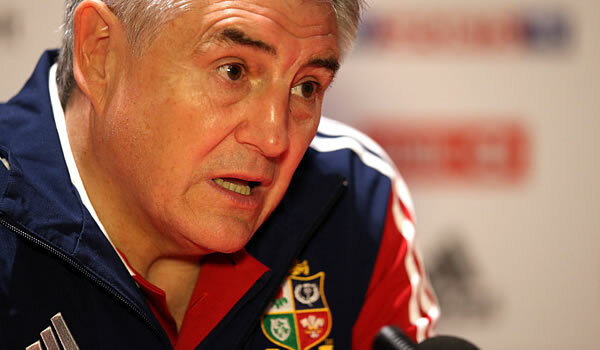 While Irvine is positive about the Lions hopes he admits that the loss of captain Sam Warburton is a “serious blow” to the team. He said the Lions hoped Jamie Roberts, Mike Phillips and Alex Corbisiero would be passed fit when the team is named by coach Warren Gatland on Wednesday ahead of its first training session in three days. The Welsh pair of Roberts and Phillips have hamstring and knee injuries, respectively, while England prop Corbisiero has a calf ailment. He said that Warburton had been carrying an ailment into the series, but had rebounded and was in strong form before tearing his left hamstring in the Melbourne match. “In the first half of the second test, I thought he was the most outstanding player on the park,” Irvine said. “He is extremely disappointed at not being available. Irvine said the only positive was that the Lions were “fortunate in that it’s one of the positions in the touring party where we have tremendous reserve strength.” Either Sean O’Brien or Justin Tipuric will be selected at No. 7, while veteran Brian O’Driscoll expected to take the captaincy. The Lions haven’t won a series since 1997 in South Africa, and O’Driscoll is desperate to break a personal drought of three previous series without a win. Irvine, who played nine Lions tests in the 1970s, defended the team’s decision to base itself on the subtropical Sunshine Coast ahead of the crucial third test, saying the players needed time to recover after the physical and mental exhaustion of the first two tests. The Lions are here for four days at a five-star resort and the players have had two days off training. The weather hasn’t cooperated, however, with high winds, frequent rain squalls and generally unseasonably cool winter weather. On Tuesday, the sun broke through the clouds for part of the day but the strong winds didn’t let up. “I’ve not got the slightest doubt – I’ve been on five Lions tours now and believe me after the second test the boys are physically and mentally exhausted,” Irvine said. Appeal officer Graeme Mew of Canada rejected the IRB appeal brought against Horwill after he was cleared of foul play charges at a previous judicial hearing by New Zealand-based Nigel Hampton, who found there was no intentional or deliberate action of stamping or trampling on Lions lock Alun-Wyn Jones in the first test in Brisbane. The decision was released Tuesday, more than 14 hours after a two-hour hearing held late Monday in Sydney by video conference and with Mew in Toronto. “No great shakes as far as we’re concerned. I’d just like to clarify that we had nothing at all to do with requesting the IRB look at it,” Irvine said.